WITH a 100-strong indie rock choir set to perform, it’s a good thing the revamped Badlands Bar on Aberdeen Street is cavernous. Menagerie is a Perth-based group where the conductor will probably be wearing shorts or safari gear rather than a tux, and the choir could be sporting horns or ears. “Because we are wonderful, colourful animals,” says James Chesters, who belts out the bass parts. Menagerie sold out at last year’s Fringe Festival with its quirky, foot-tapping choral versions of pop hits from the likes of Fleet Foxes, Silverchair and Clare Bowditch. 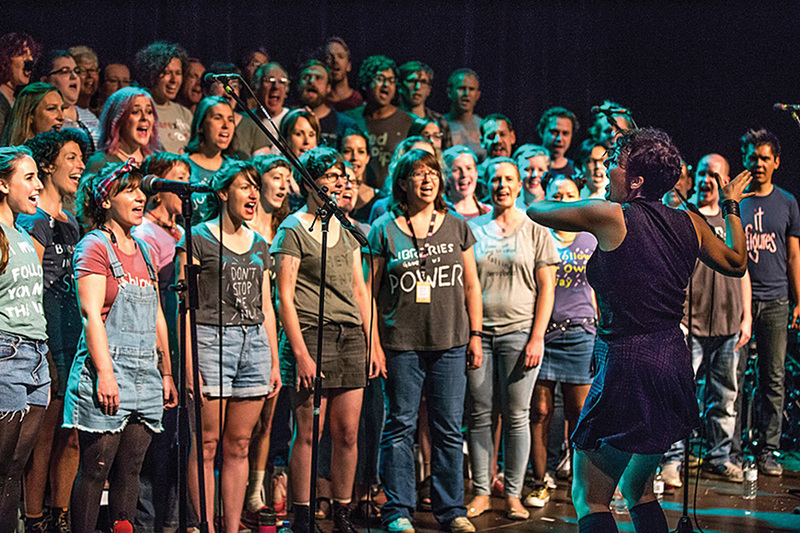 For its Winter Warmer: Women Who (Indie) Rock the choir will be joined by Sarah Tout, award winning Rachael Dease and Meri Fatin. “Celebrating our favourite women who rock. Or in this case, indie rock,” says Chesters.